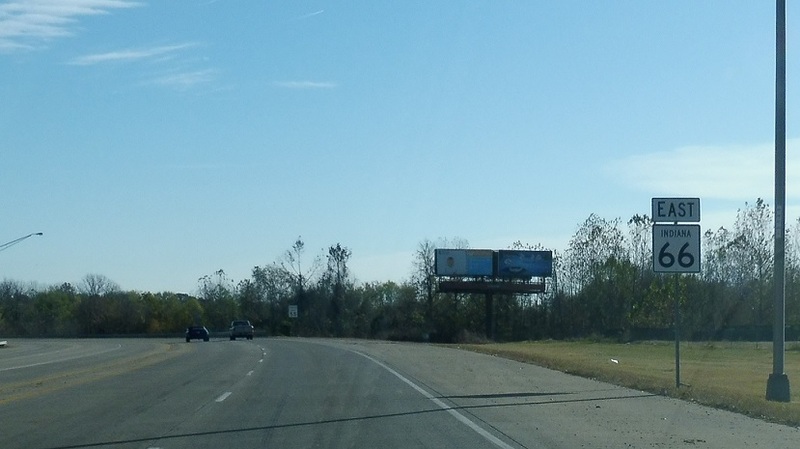 Reassurance shield after the 65 junction. 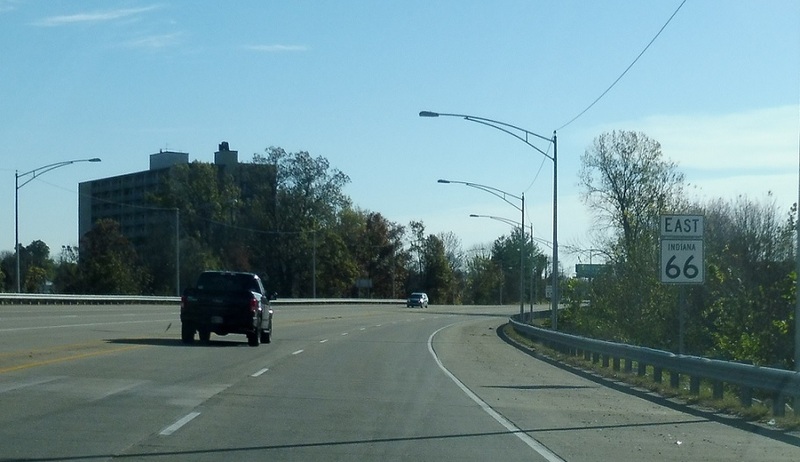 Reassurance shield as we enter Evansville. 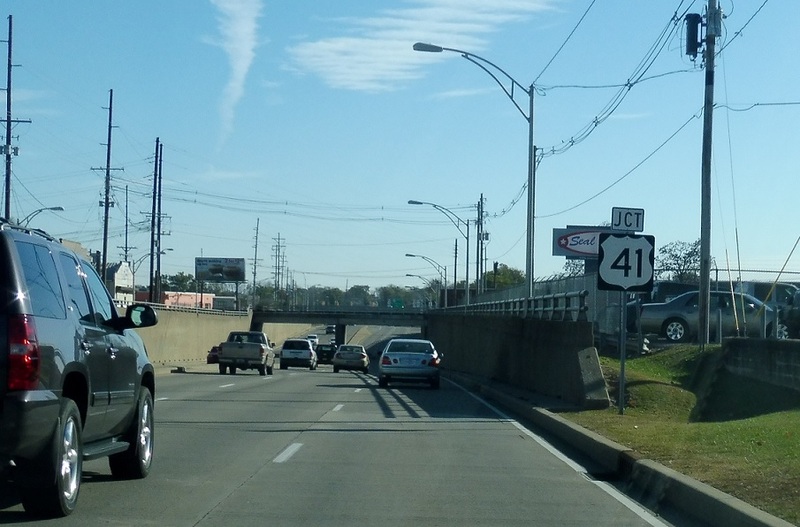 A few blocks later, we’ll approach U.S. 41. 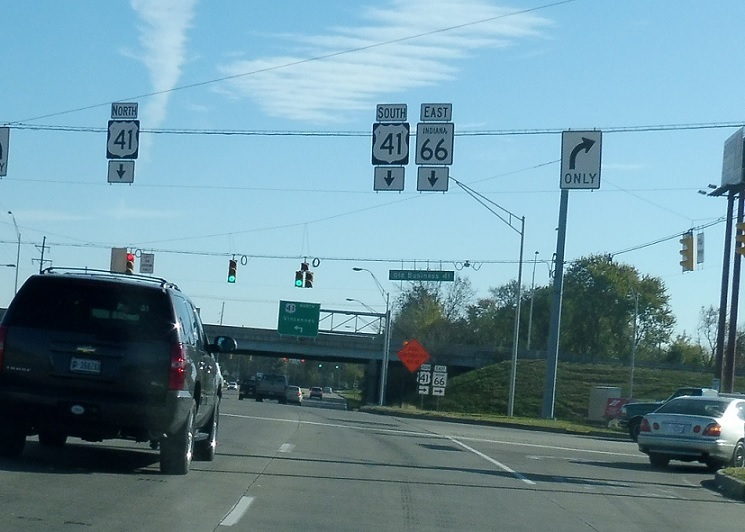 At US-41, SR 66 east will join 41 south for a few blocks. 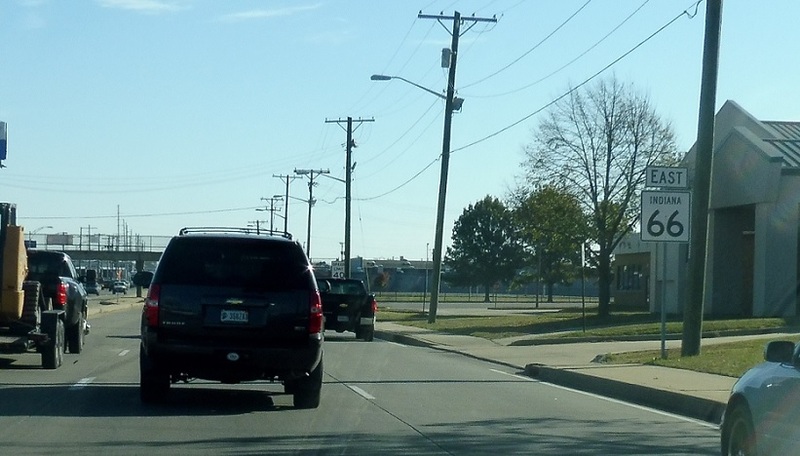 Keep left for 41 north. 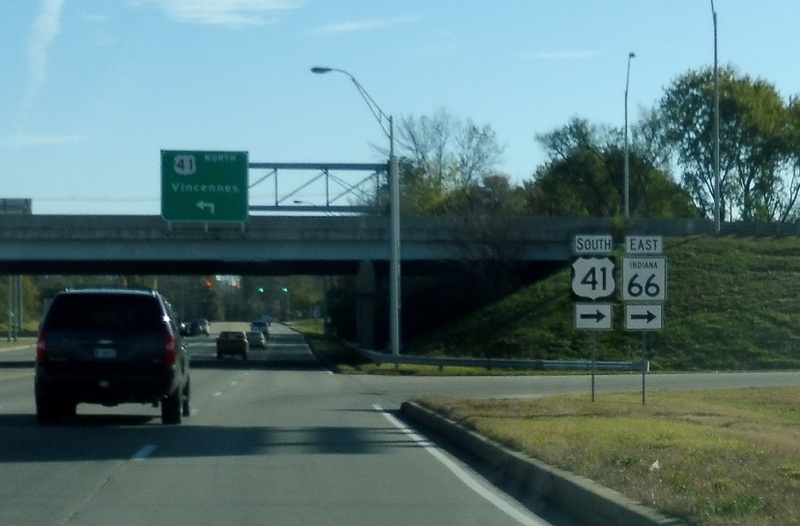 Turn right for 41 south/66 east. 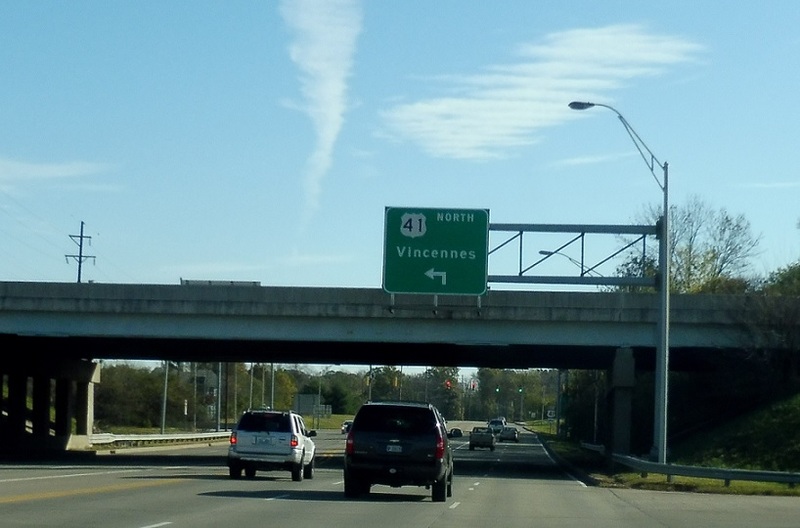 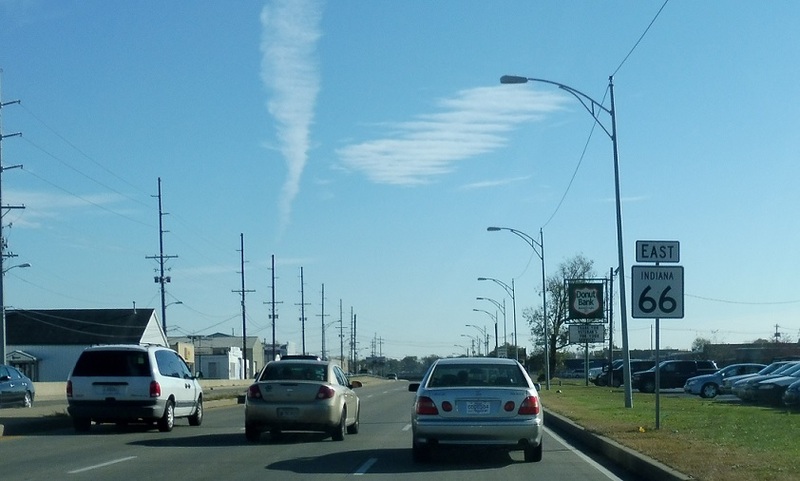 Turn left for 41 north to Vincennes.